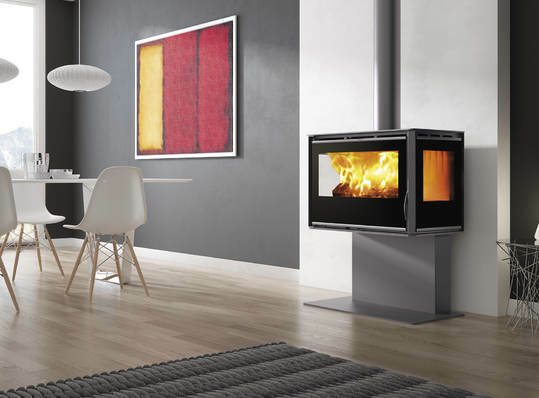 The RA-85 Plus stove may simply be sat on a hearth, stone slab or metal bench. The RA-85 Plus can come with an elegant full-width single leg or stand at the back, raising it up. You can choose to combine the RA-85 Plus with a log store which also makes for a handy place to have that evenings logs, or you can suspend it from a wall using the optional kit.